Every year MedSpring Project organizes a special brokerage event to collect innovative ideas on water-food-energy, offering to young idea-carriers from the Mediterranean countries opportunities to meet potential investors. 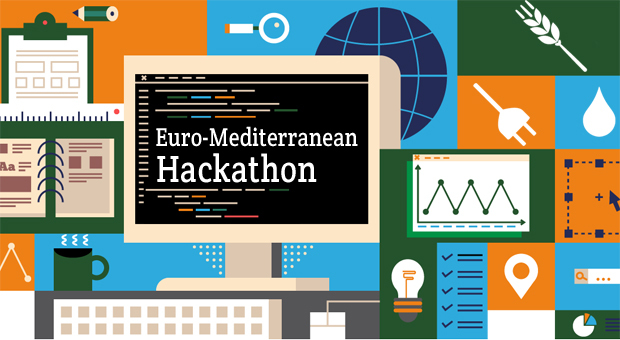 This year we are excited to announce the launch of the first #Euro-MedHackathon. This 2-day event will take place on the 14-15 December 2016 in Amman (Jordan). Different prizes are offered by private companies as Barilla Group, SPRING, Torino Wireless and Seeds & Chips. To apply to the Euro-MedHackathon as Innovator please use this URL. Deadline for applications submission is 31 October 2016. Registration as participants will be open soon. Follow us on MedSpring website and on the Agora; please contact brokerage@medspring.eu for any questions. "Zero waste in the Mediterranean: Natural, food and knowledge resources."